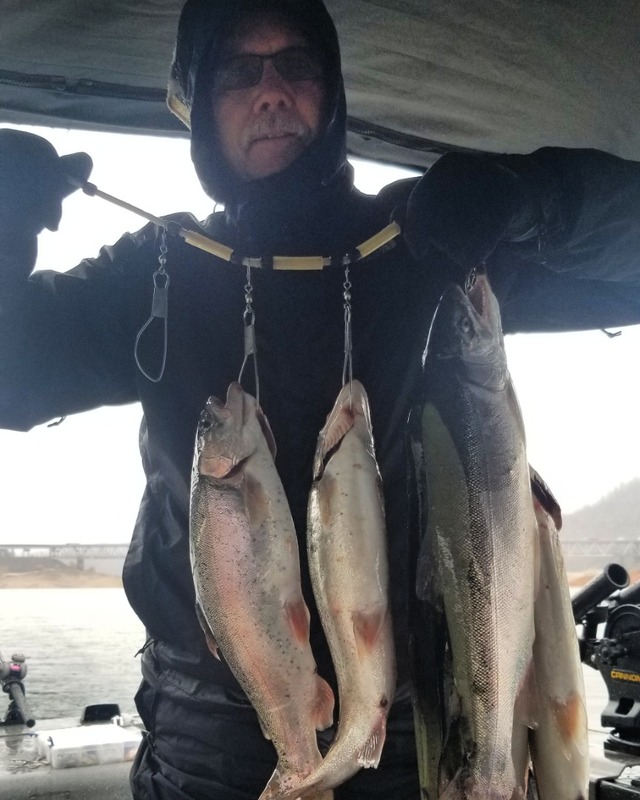 11/29/18 - Yes it was cold an windy an raining cats and dogs but it was a hot drag ripping Optimizer bite for fat Shasta Lake Dinner Bows. 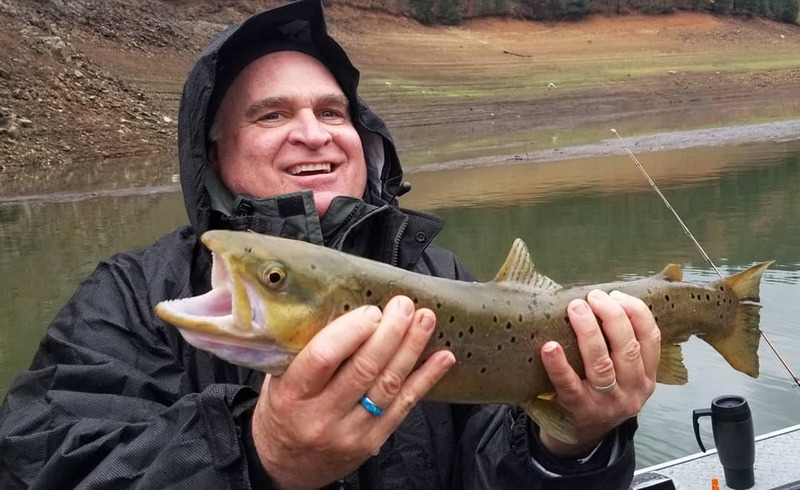 Pouring rain didn't stop my client Randy an I from fishing Shasta Lake yesterday. It was nice that Trout action was awesome as soon as we put the lathered Carpspit Optimizers in the water. 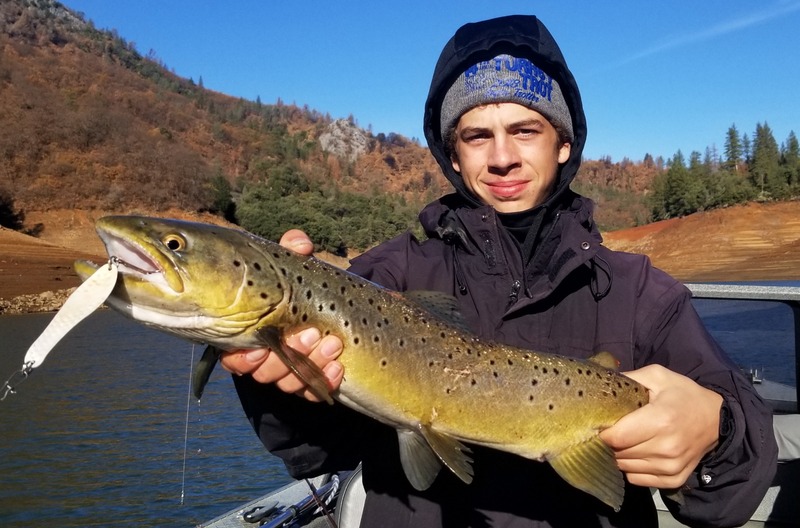 The fish were feeding right near the surface and it was one smashing bite after another and we had out limit in no time. 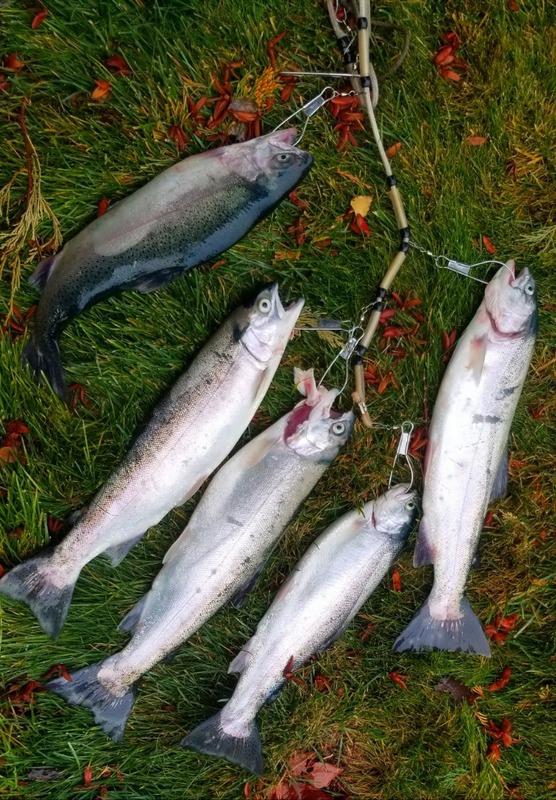 These fish have to eat and are doing a great job of it by the looks of their fat bellies.